A new campaign aimed at discovering the beauty of the Greater Mekong Subregion (GMS) has been launched with experiences and stories of travellers. The Travel Department, under the Vietnam National Administration of Tourism (VNAT), worked with co-ordinators of Mekong Moments to present the campaign in Hanoi on October 12. 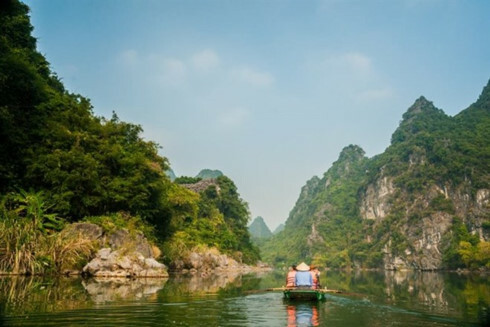 Mekong Moments is a turn-key digital campaign and travel inspiration platform that will allow any business in the GMS, regardless of size and type, to develop its own campaign by encouraging consumers, staff, and stakeholders to share their Mekong Moments. These will be aggregated into MekongMoments.com to inspire people to research and book travel to China, Cambodia, Laos, Myanmar, Thailand, and Vietnam. Mekong Moments will serve as a hub of capacity building (training and assisting travel enterprises) and increasing awareness about the mighty river and its region as an experiential travel destination globally. The website of Mekong Moments campaign also introduces Vietnam’s Timeless Charm and leads to the official website of the Vietnam Administration of Tourism at www.vietnamtourism.com.